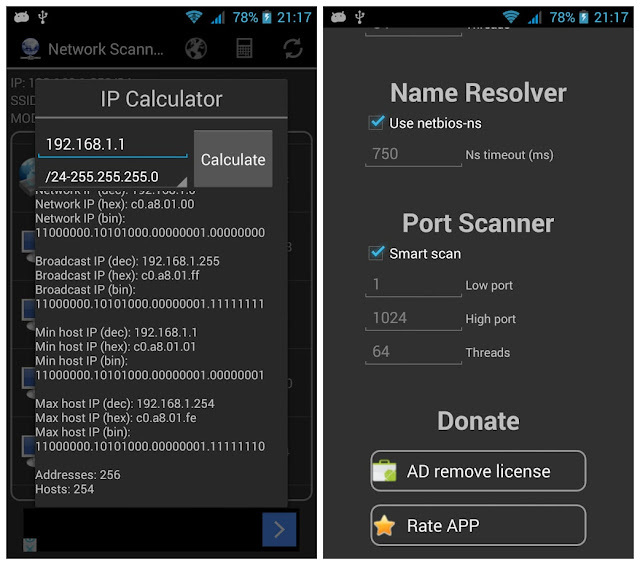 Network Scanner Premium displays the IP and MAC addresses, the names of the hosts on the your local network. Also there is a built-in port scanner (tcp) and small auxiliary tools. 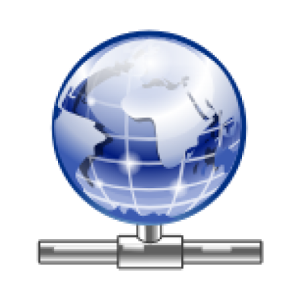 Check hosts over a range of possible addresses in the network. Function Vendor by mac lookup displays network equipment manufacturer. Flexible Setting the number of passes and timeouts network scanner to achieve ballansa between speed and reliability display. Ability To manually adjust the resolver names. Getting IP, MAC addresses and host names can be copied to the clipboard. You Can specify a range of port numbers, scanned port scanner. Port scanner recognizes all registered services. Intelligent scanning function of the scanner port (bust only registered ports). Full Base port numbers and their descriptions.